In 1982 Victorian police were called to a home on a housing estate an hour west of Melbourne. There, they found a five-year-old boy lying still and silent on the carpet. There were no obvious signs of trauma, but the child, Jacob, died the next day. And yet, for years rumours swept the estate and clung like cobwebs to the long-vacant house: there had been a cover-up. The real perpetrator, at least according to local gossip, was the boy’s six-year-old sister, Lauren . . .
Twenty years on, Lauren has created a new life for herself, but details of Jacob’s death being to resurface and the story again makes the newspapers. 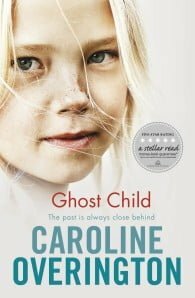 As Lauren struggles with the ghosts of her childhood, it seems only a matter of time before the past catches up with her.